Montblanc. The name is as Italian as it gets. And besides pizza and hand talking, do you know what the Italians are known for: Luxury goods, especially in the fashion industry. Montblanc is no exception. Enter the website, and you will find consumer luxury goods from all ends of the spectrum: from fountain pens and phone cases to briefcases and handbags. But this article will focus on wallets in particular. First, we’re going to dive into the history and background of the company. Next, we’ll introduce three of their most popular wallets in different styles. However, this short article is not a sales letter, so we will give objective feedback about each wallet including the pros and cons. We will end with final words and where you can go to learn more about the company and different styles of wallets. Montblanc started way back in 1925 with a high-quality fountain pen. Since then this brand has spread to all corners of the globe and has become a household name in luxury goods. They are committed to high-quality goods and procedures in all steps of their process. They source their leather from ethically raised and slaughtered cows, they employ the services of the most respected tanneries in Europe, and all of their products offer a two year warranty, all you need to do is bring your wallet to one of their shops or mail it to one of their warehouses. But the most impressive thing about this company isn’t their high-quality goods, but their ethics and commitment to human advancement. One example of their dedication to charity is that from June 1st, 2009 all the way to May 31st, 2010 this company donated 10% of their retail price to Unicef’s Educational Programs. They pledged up to $1.5 million. The company then repeated this feat in 2013, but that time they exceeded their original donation of 1.5 million dollars by about 5 million dollars. The ethics of the company is a different story though. This article is about their wallets, so read on to discover the reviews of three of their most popular wallets. 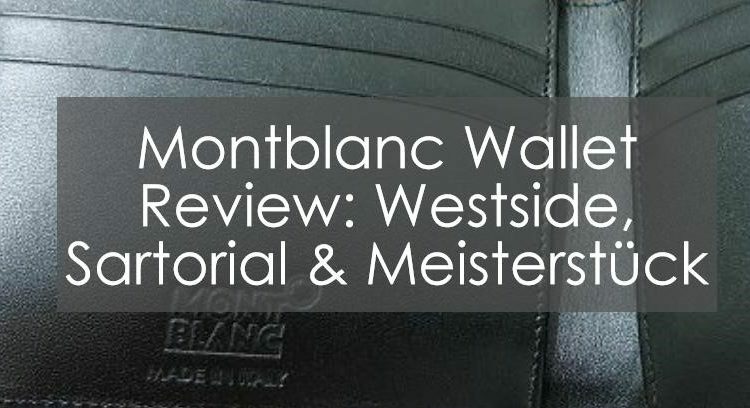 The Westside wallet’s base design is a classic bifold wallet. But then the choices emerge: you can pick a wallet with or without a coin case and you can also choose between a wallet with four or six credit card slots. This wallet is made with full grain cowhide and comes in a charcoal black. It boasts the standard Montblanc emblem on the metal button. This wallet is the standard bifold design that most people are comfortable with. On top of this, it offers many choices from four to six credit card slots and the choice of a coin case. Some drawbacks are that you only have the choice of one color and it’s expensive. If you like the minimalist look, then this may not be the style for you. This wallet features the standard bifold design with 6 card slots in each interior, each of which can hold up to two cards. The outside of the wallet features a cash pocket that can hold a few folded up bills. It’s a minimalist design, but the wide and narrow body makes it ideal for the back pocket rather than the front pocket. The good things about this wallet are the high-quality material and design of the wallet. Also, the standard bifold look is combined with the minimalist design. Some drawbacks are the cost as well the lack of flare. 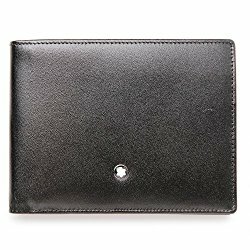 If you are into flashy wallets than this is not the product for you. This wallet follows the trend of the standard bifold wallet but has a few variations. 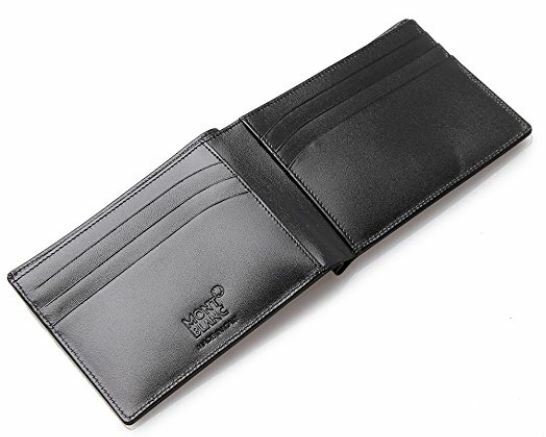 There are several different styles of this wallet, and some feature a money clip, while other styles feature the standard money pouch. 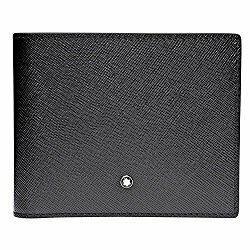 This wallet boasts credit card holders, which vary from four to six different holders, depending on the style. This wallet has the classic look of a foldable wallet. It’s made of high quality, full grain calf leather. There are a lot of different choices for this wallet. You can choose between a wallet with or without a money clip, as well as wallets with 4,5, or 6 credit card slots. There is even a style made specifically for women that looks like more of a purse. Whether you are a man or a woman, this wallet boasts many different colors. There are some drawbacks of this wallet. For one thing, it is pricey. Needless to say, you get what you pay for, and this wallet is no exception. Also, the standard bifold look may turn some people off as they may be more drawn to the minimalist, slender looking wallet. You will have to be the judge of that for yourself. 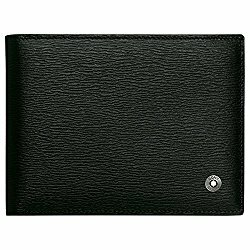 Montblanc is a leader in luxury goods, and their high-quality wallets are no exception: they are made out of the finest materials with care and ethics. If you are interested in learning more about this company then a simple Google search will send you to their website. If you want to learn more about small and slim wallets then look into our review called ‘General Slim Wallets’. If you don’t think that the minimalist, slim wallet look is your thing then be sure to check out our reviews of ‘Standard Bifold Wallets’.